Map Showing Aylesbury Electricians - This map shows the locations of some electricians in Aylesbury, Buckinghamshire. Electricians Aylesbury: On this page is a map showing the locations of various electricians and electrical services in Aylesbury, Buckinghamshire. Click on the red bubbles to get contact details for each specific Aylesbury electrician. Visible on this Aylesbury electricians map are: Green Light Electrical, Glenister Electrical, All Sparks Electrics Ltd, Aylesbury Electrical Services, Booker Dean, Derek Jackman Electrician, Corbec Electrical, B&B Electrical Contractors, Edison Electrical Installations, PW Auto Electrical, Daintons Electrical, Long's Electrical, Central Electrical Engineering Services, JBG Electrical, and more. 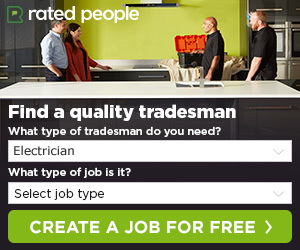 You can also visit Rated People to get free quotes from local Aylesbury electricians and electrical testers. These and others will be able to offer electrical services in Aylesbury and these areas: Weston Turville, Walton, Elm Farm, Buckingham Park, Broughton, Bedgrove, Stocklake, Oving, Hulcott, Wendover, Meadowcroft, Longwick, Ellesborough, Southcourt, Stoke Mandeville and Hawkslade, Dinton, Rowsham, North Lee, Nash Lee, Watermead, Bierton, Quarrendon, Hartwell, Fairford Leys, Pitchcott, Berryfields, Quainton, Weedon, Hardwick, The Coppice, Halton, Fleet Marston, Haydon Hill, Upton, Bishopstone, Stone, Waddesdon, Marsh, Aston Clinton, Buckland.